All On Four Dentures Abroad – What's The Story? Home / Uncategorized / All On Four Dentures Abroad – What’s The Story? All On Four Dentures Abroad – What’s The Story? 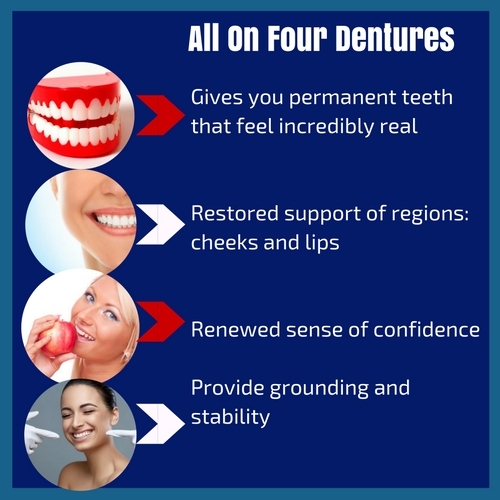 What exactly are All on 4 Dentures? Just under two decades ago, Dr. Paulo Malo was the first to successfully treat patients by means of the All-on-4 concept. This is a solution for what is known as full-arch treatment that puts to use tilted implants. This technique utilizes only four implants per arch whereas the traditional method can sometimes use 6 to 8, or more to fulfill each arch. Most patients do not have the need to have bone grafting, and so the time-saving aspect as well as easing the financial hit to you and your family. The surgery takes about 2 and a half hours for each arch and published studies currently show around a 98% success rate using all on 4 dental implants. The ideal candidate for this procedure is an individual who has to wear dentures, or is prescribed them in the very near future. The age of the patient is not necessarily a factor, but just as with any procedure, the subject should be in as good a health as possible. One of the things that patients love most about this method is that it gives you permanent teeth that feel incredibly real, and no one around you will usually notice unless you admit they are dentures. This method can be used on just the bottom arch if absolutely needed. The specialists closely evaluate your circumstance and if they feel you eventually will need both rows completed, they may recommend simply doing them all at once. What are some characteristics of All on four dentures? This procedure actually provides full-arch rehabilitation with only four implants: there are two straight anterior implants, and two others that are tilted on up to 45 degrees located in the posterior. With a completely fixed provisional bridge, the patient will usually see immediate function. The reason why bone grafting is able to be avoided is the ways in which the specialist can tilt posterior implants, using bone that is pre-existing, and readily available. You can maintain these finished dentures by brushing and flossing just like you would with real teeth, and implant-supported teeth allow for normal function. Since you are in essence permanently replacing missing teeth, the patient will enjoy the restored support of regions like the cheeks and lips, and will boast an overall younger appearance. Doing things like kissing your partner, speaking with a renewed confidence, laughing, and chewing nutritious items such as vegetables, and taking family photographs will be able to be done with a renewed sense of confidence. This is an event in dental history that has completely revolutionized the market: those who were previously completely toothless an amazing option for vitality and confidence. This solution is much more comfortable, sturdy, and reliable than the option of removable dentures, and also prevents the loss of density around the jawbone as well as increasing volume that is impossible to avoid when the patient loses teeth. When the bone around the implant is stabilized, the bone’s dimension and strength remains at a very favorable level, which removable dentures cannot accomplish. Many people that wear traditional dentures do not even realize that their use actually accelerates bone loss! A dental implant is actually a very small and screw-shaped post that replaces the area where the root would be in a missing tooth, directly beneath the gum. They are made from Titanium, which has the ability to add extra sturdiness and integration to the very vital bone structure underneath. After implants are professionally inserted into the jawbone, the completed bridges can be attached to them right after surgery, sometimes even the same day. Right after the implants are placed into the jawbone, it is of extreme importance to have them remain completely still and not budge a millimeter. If there is any movement at all around the area, the implants can be ruined, and a soft diet is recommended during early recovery. The implants have to be strategically placed by an expert hand to have the best result, and the new teeth and implants work to stabilize each other. Just as a tabletop needs to be supported, this is why implants are angled, to provide grounding and stability. Since there are usually 28 teeth in the adult mouth, replacing teeth one by one may not produce much better results than the all on four procedure. While you are deciding if you may want to travel somewhere else besides getting this procedure done in the United States, cost will absolutely be an element. The best way to really size up the cost factor is that if you are looking at having this procedure done in the United States, the complete and finished product will cost you between $40,000 to $60,000, and in Canada, this rate is significantly higher. After it’s all said and done, the price for this in Costa Rica is only about half of what it is in the States. As people are beginning to age and get to the period of life during which they already are worried about retirement funds and security, when an issue such as tooth replacement comes up, it could be a huge source of stress, as some areas of the job market have not completely healed yet. Many would argue that the training of the dentists in the United States would be more favorable, and that a patient would feel safer putting their trust in an American doctor. 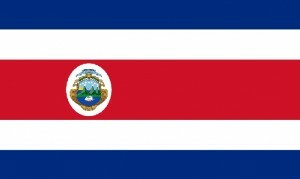 The truth is that many Costa Rican dentists have been trained in the states, and have developed bedside manners and positive habits that will impress even the choosiest of patients. During the recovery time needed, you will no doubt appreciate being in a warm and sunny climate, and can take the time you always wanted to to explore the area. Cities such as Tamarindo, San Jose, and Escazu are great locations if you have been trapped up north with cold winters, and are eager to get a feel for what the Tico lifestyle entails. Locals here are friendly when treated with respect, and the colorful and diverse landscape is a must see for anyone who loves the coast, palm trees, and lush jungles full of different wildlife varieties. When you have your mind made up that you know you want to have a certain procedure, it’s best to go ahead and select the outstanding candidate for the job. After research and important comparison, it’s evident to us that Dr. Mario is one of the best in the business. Approved by the U.S. Embassy, This is a specialist who you can trust whole-heartedly with this all-important task. The Doctor’s new surgery facility and laboratory in Escazu is a prime example of the top-notch location and service you can expect when you are here. Special offers that even help you out with the cost of airfare exist for VIP members, and it is an excellent way to finally cut down on items like expensive treatment for cavities, and root canals. If you are in the United States or Canada and you inquire to your dental provider regarding what they usually charge for this procedure, the answer will amaze you. Do you really want to shell out what may be more than a year’s income to give yourself functional dentures? The rising costs of many procedures such as this are leaving people with financial burdens much larger then they can hope to bear in the long run. The fear of having all on 4 dentures will quickly subside when you visit Dr. Mario, and see just how free and confident you feel after your procedure. You’ll have a lot to smile about, as you will have a new set of glistening pearly whites, and will have bypassed the staggering cost of having the procedure done elsewhere. Contact coordinator Charlie for more details today, and explore options for paving your own path to a brighter future.